“Stay the course. Keep on trying.” So sings Glenn Mercer on the Feelies’ In Between, their sixth album and second since rebooting in 2008. Last year, the Haledon, N.J., band founded by guitarists Mercer and Bill Million celebrated its 40th anniversary. Crazy Rhythms, their frenetic, classic debut, arrived in 1980, but they waited six years for their second, the comparatively sedate The Good Earth. That was the first Feelies album with the band’s current lineup of Mercer, Million, bassist Brenda Sauter, drummer Stan Demeski and percussionist Dave Weckerman. After the (relatively) quick run of three albums between 1986 and 1991, the band retired until Sonic Youth coaxed a reunion in 2008 that led to sporadic touring and to 2011’s Here Before. 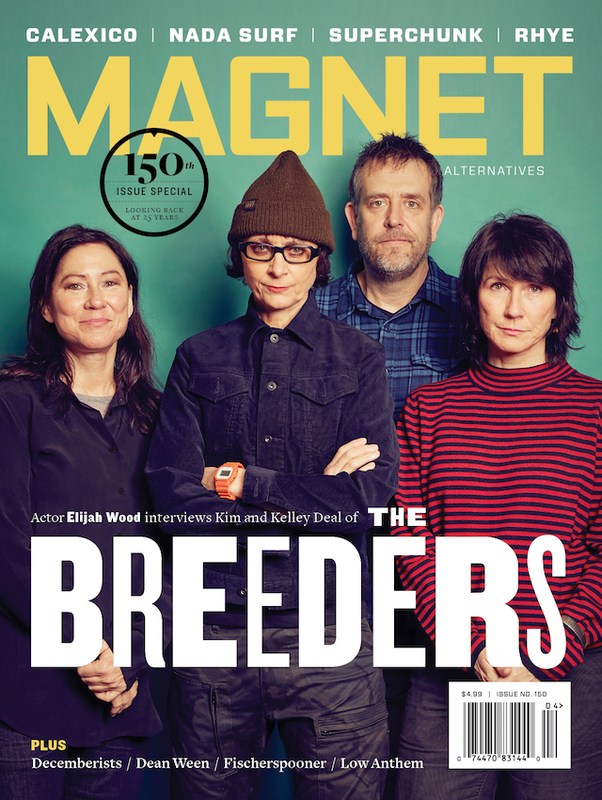 The Feelies will be guest editing magnetmagazine.com all week. Read our new feature on them. Demeski: I got this at a store called Discophile in NYC the night I first saw Television. Marquee Moon had just come out so I already had that, but this 45 was harder to come by. My older friend took me into to see them at CBGB since I wasn’t old enough to drive yet. I had my older brother’s drivers license that stated I was 21 when I barley looked 16. They didn’t check at the door anyway. Getting the 45 and seeing the band live were two life-changing experiences for a few reasons. They were great, they didn’t look like Led Zeppelin, and there was still new rock music being made. It was all very inspiring. This was May 1977, probably one of the last times they played CBGB.